Everything About Kids Party ! Trust Birthday Planner to plan your parent’s birthday party! Your parents have done so much for you. They spent so much time and money to make your birthday memorable and never did anything on their, working so that you could have happy moments. Now it’s your turn to return the favor. Present your parents with the best birthday surprise for decades with birthday party organisers in delhi. 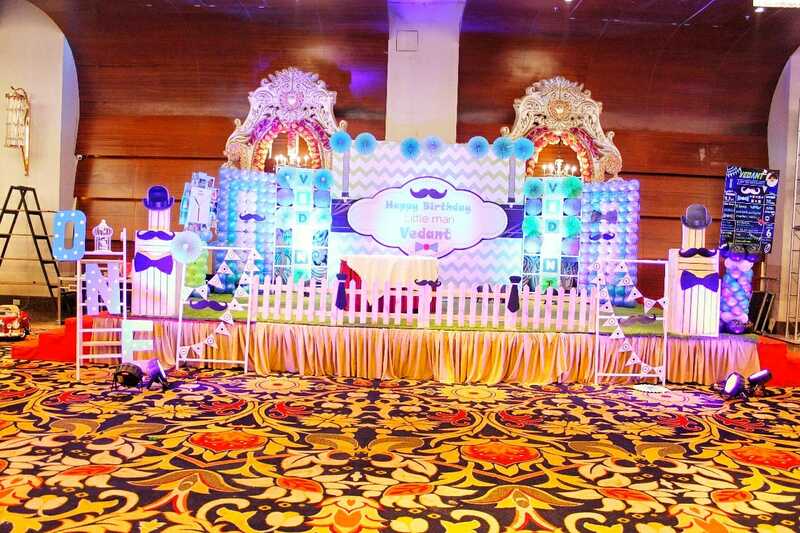 We are the best birthday party planners in Delhi. We understand that comfort is a major concern for people at a senior age. That is why we go out of our way to design these parties. We choose a comfortable venue where everyone can be seated. The photography is done keeping in mind that all people are captured with finesse. The food is strictly as per the demand- vegetarian or if you need any special instructions we incorporate them right away. Our team is also available on the spot to seat your parents and their friends. They ensure they are taken care of all the time. Our team members will talk to you to ensure that your requests are kept in mind. If you want sugar free food, we will make the required changes in catering. If you wish a quiet, somber and plain party, we will ensure you are happy with the decorations. All of our Entertainment Specialists are experienced industry professionals that can help you develop entertainment briefs from concept through to delivery.If you’re creating a family event and looking for daytime or evening entertainment, then please contact our dedicated team who have created hundreds of events and entertainment experiences in the region. Our team will discuss your objectives and together we will create the unheard-of at your event. We are specialist birthday organizing agency providing unique and exciting entertainment options both locally and internationally. We have since day one, worked with the objective of being the go-to birthday entertainment agency that produces unforgettable event experiences and provides expert advice and support.We are trusted by many and have delivered high-end private parties and events. Our award-winning work always focuses on you and your needs, so you are in safe hands.We understand event planning and understand that our clients may not or do not want to worry about how everything will take place. When a client books international entertainment with us, they can take a seat back as we organize everything. Even to the point of having one of our Entertainment Experts attend to provide a hands-on service. Previous Post How to plan an inexpensive birthday party? Birthday Party Organisers in Delhi. Copyright 2017.